MIAMI - The United States on Monday extradited Ricardo Martinelli, who served as president of Panama from 2009 to 2014, to stand trial in that country on four charges related to an illegal wiretapping scheme allegedly conducted while he was in office. Martinelli, 66, formerly of Coral Gables, Florida, was indicted in Panama for illegally monitoring communications of more than 150 people between 2012 and 2014 using an extensive surveillance system, and for embezzling over $10 million in public funds. 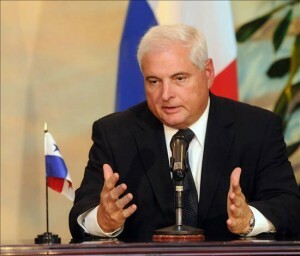 A justice of the Supreme Court of Justice of the Republic of Panama (the highest court in Panama) issued an arrest warrant for Martinelli on December 21, 2015. The Criminal Division’s Office of International Affairs, working with the government of Panama, the US Attorney’s Office for the Southern District of Florida, and the US Department of State successfully returned the former Panamanian president in response to a request submitted under the terms of the extradition treaty between the United States and Panama. According to the information provided by the government of Panama in support of its extradition request, shortly after taking office, Martinelli created the National Security Council, an advisory body to the president containing a “Special Services” unit, which carried out confidential activities at the direction of the President. The Special Services unit used two multi-million-dollar surveillance systems to illegally intercept and record the private communications from the cell phones and computers of at least 150 individuals whom Martinelli identified as “targets,” including his political allies and opponents and their family members, his business rivals, Panamanian judges, journalists, union activists, US diplomats, and others. Shortly following the 2014 elections, and before Martinelli left office as president, members of the National Security Council removed much of the surveillance equipment from the Special Services’ office. The whereabouts of the equipment is currently unknown. On August 31, 2017, a US magistrate judge in the Southern District of Florida ruled that Martinelli could be extradited to Panama on the four Panamanian charges. Martinelli then filed a petition for a writ of habeas corpus, which the federal district court in the Southern District of Florida denied on January 23, 2018. Following a thorough review of Martinelli’s case, Deputy Secretary of State John Sullivan issued a warrant ordering Martinelli’s surrender to Panamanian authorities. On Monday, the US Marshals Service executed that warrant, transported Martinelli to Panama, and delivered him to the custody of Panamanian authorities. With the extradition now complete, the case will now move forward in the Panamanian legal system and any finding of guilt or innocence will be made by Panamanian courts.